I love the full look of it, it didn’t cost a dime and it sparkles! Since it is a light color, there’s no need for lights, yay! (but you can bet if there was a nearby outlet, there would be lights on it!) 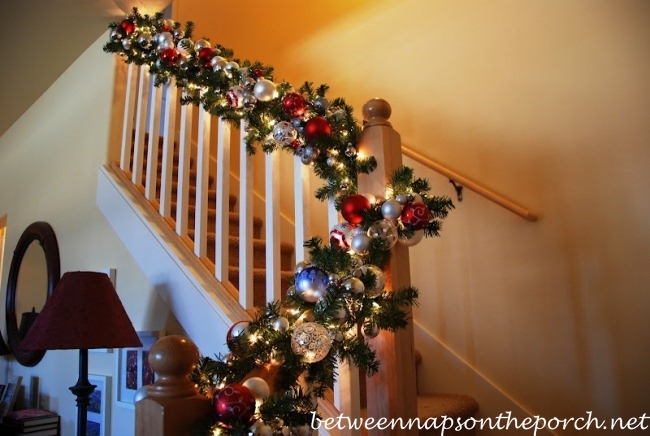 How are you decorating your bannisters this year? 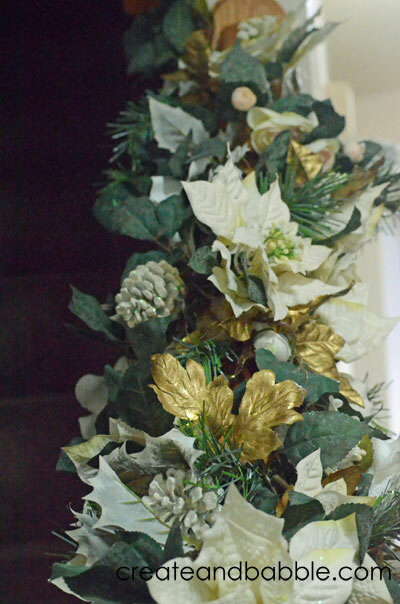 If you don’t have a mantel, where do you hang your stockings? I’m working on a new idea on what I’m doing with those this year! 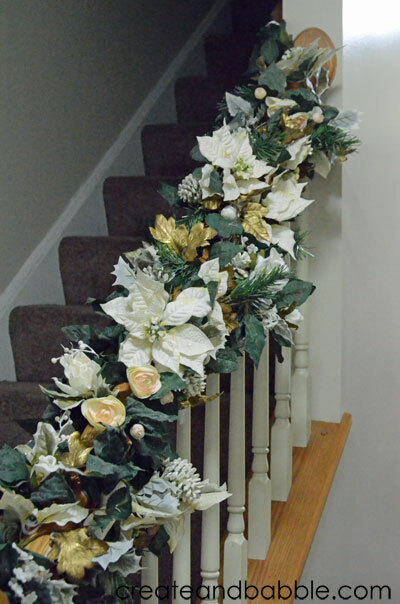 Jeanie what a gorgeous railing decoration you’ve made! It is so nice and lush looking! Good for you using something you already had, too! Thanks Susie! Merry Christmas to you and yours!